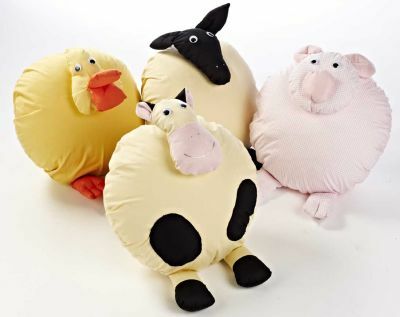 A fun set of four farmyard animals, Cow, Pig, Duck and Sheep. Great as a seat and for play. Durable fibre filled inner and hand made outer with stitching detail. Comes in the colours shown.